A new page has been published in the story Ben Bowman in the Vault of Terror, at Thrilling Tales of the Downright Unusual. 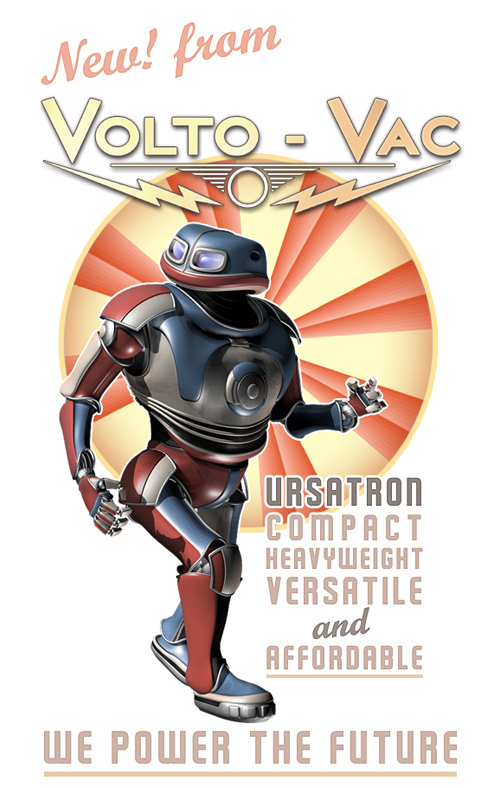 After three days of intense design and prototyping, Volto-Vac’s newest creation – THE URSATRON – is ready for manufacturing will soon be available at reputable robot dealerships, city-wide. In spite of his massive proportions you’ll find that the URSATRON fits neatly into any industrial or domestic situation. This is due to his compact height (a mere four foot nine inches!). 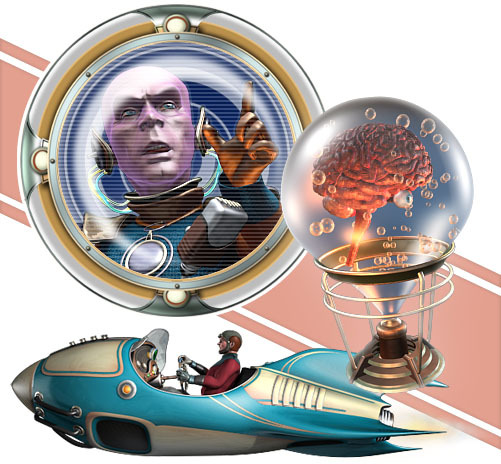 But the URSATRON packs a heroic set of actuators and shock absorbers into that sensibly-sized package. Your new URSATRON can’t just carry the laundry: he can carry it without taking it out of the soniclave! That’s about all I know about the Ursatron. Heck, until this morning I had no idea what to call him. But I’m sure I’ll figure out a thing or two about him in times to come. You’ll be the second to know.